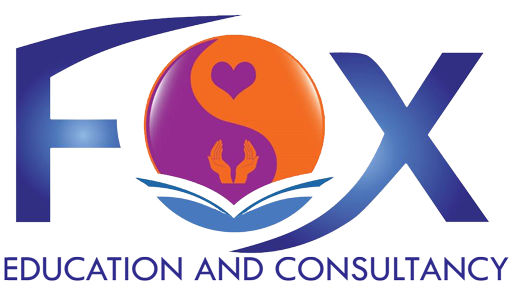 FOX Education and Consultancy is a locally owned NT based private Registered Training Organisation (RTO 40674) that fully understands the service environment and training requirements of care workers, health workers, nurses and health care providers in regional and remote settings. We are committed to ensuring you achieve a satisfactory completion with us. This qualification reflects the role of support workers who complete specialised tasks and functions in aged services; either in residential, home or community based environments. Workers will take responsibility for their own outputs within defined organisation guidelines and maintain quality service delivery through the development, facilitation and review of individualised service planning and delivery. Workers may be required to demonstrate leadership and have limited responsibility for the organisation and the quantity and quality of outputs of others within limited parameters. This qualification may lead to employment in aged care residential services, home and community care services and respite services providing person centred care. Prior to commencing the program any learning achieved through formal education and training (credit transfer) or, any learning achieved outside the formal education and training system (RPL) or, recognition of AQF qualifications and statements of attainment issued by training organisations registered in any Australian jurisdiction will be reviewed and granted as deemed applicable by the course coordinator. RPL is an assessment process that involves assessment of an individual’s relevant prior learning to determine the equivalent competency outcomes. Credit will be transferred for prior successful completion of units of competency. You can apply for RPL or CT by arranging an interview with the Course Coordinator. This is best discussed on enrolment with the course coordinator so your individual plan of training can be adjusted prior to commencing. This course is industry based training and therefore participants of this course who are not employed within the industry, are required to undertake 120 hours of unpaid work placement. This will be arranged by your Course Coordinator with a local Industry provider. A current Police Check and Ochre Card are necessary to permit placement and/or on-the-job training and assessment to be conducted. This indicates your suitability to work in this industry. Up to date vaccinations are required for placement within the NT hospitals only and are recommended for all other services. The current list of required vaccinations are: Measles, Mumps, Rubella, Chicken Pox, Hepatitis A, Hepatitis B, Pertussis, Tetanus / Diphtheria and Influenza (annually). Travel and accommodation, where required for placement, is at cost to the student. NB: several units require industry placement to demonstrate safe and competent practise therefore it must be understood this is not a theory based qualification. Training and assessments are conducted in English. Applicants must possess functional written and spoken English. No other prerequisite applies to this Course. The classroom sessions will be four (4) hours per week over the course of up to twenty-eight (28) weeks, with optional blended learning, followed by the four (4) week work placement. Students should allow home study of a minimum of six (6) hours per week for the course duration. The Unit Delivery and Assessment Plan indicating the type and frequency of assessment, performance criteria and academic guides, will be provided at start of term. The delivery schedule is subject to change if students are a cohort from industry and the schedule will be negotiated prior to enrolment. The course is delivered by local, qualified industry professionals, who understand the context of practice and embrace the principles of cultural safety in their teaching. This course may be subsidised by the Northern Territory Government. All candidates will need to cover the cost of materials and student services ie admission fee, text books and uniforms. Please contact us to check the availability of subsidies and your eligibility. RPL Fee: $7.50 per nominal hour eg a unit may be 20 hours therefore the cost for RPL of that unit is $150.00. A non-refundable admission fee of $150.00 is to be paid on enrolment into the course. Students will then be required to agree to a formal payment schedule for the duration of the course. FOX Education offers a pay as go service. No fees in advance are accepted. Fees are payable through direct bank deposits or at our Offices. All fees must be paid before a Certificate or Statement of Attainment is issued. Students are required to purchase a text book for this course at a cost of approximately $120.00. The details of the text will be provided to all students at orientation as the text may change from year to year. To assist you in making an informed decision on your course, you will find additional information in the FOX Education and Consultancy Student Handbook, on our website at www.fox.edu.au, or by browsing www.training.gov.au and entering the course code: CHC43115.